On my quest of eating healthier and trying to get over my eating disorder and other problems i have started experimenting on many kinds of ready made food that is easily available in supermarket shelves but even with their nutritional facts and ingredients labelled at the side of the packaging we can never be too sure on how accurate the contents are. They can say "Low- sodium", "Low- Fat", Less sugar, Less Calories..etc but have you actually stop and wondered what is replaced in there in order for it to retain it's flavour while making it a "healthier" alternative for consumers. 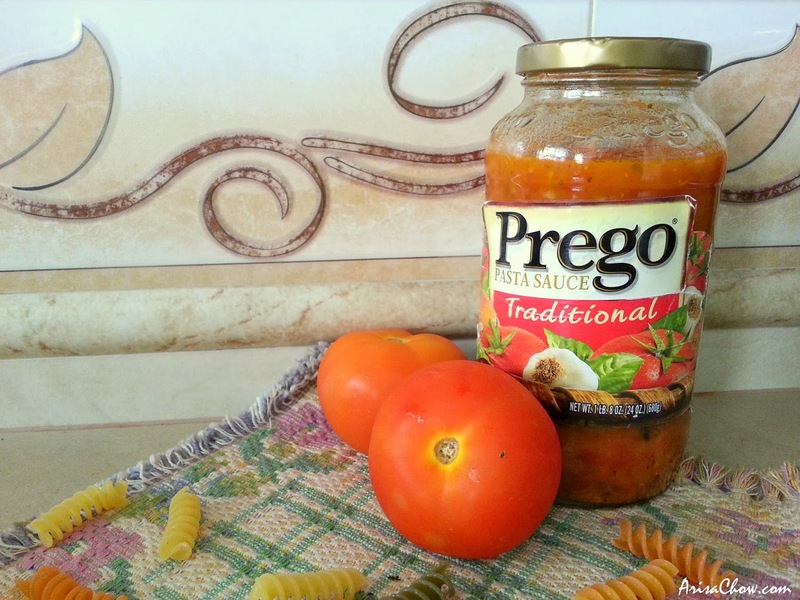 Don't be fooled, this isn't your ordinary "prego" bought off your grocery shelves. This is 100% pure tomatoes goodness without the weird ingredients with fancy names and food colouring.Read on to find out more. But yea, since Christmas and year end dinners are around the corner you can maybe consider some of my homemade recipes to make your feasts guilt-free and waistline friendly. So no waking up the next day feeling like you need to burn off all those fatty foods you had during gatherings or making your next year resolution to "lose weight" again haha! Add diced onions, garlic and grated carrots. Saute for 6-8 minutes or until onions are translucent and tender. 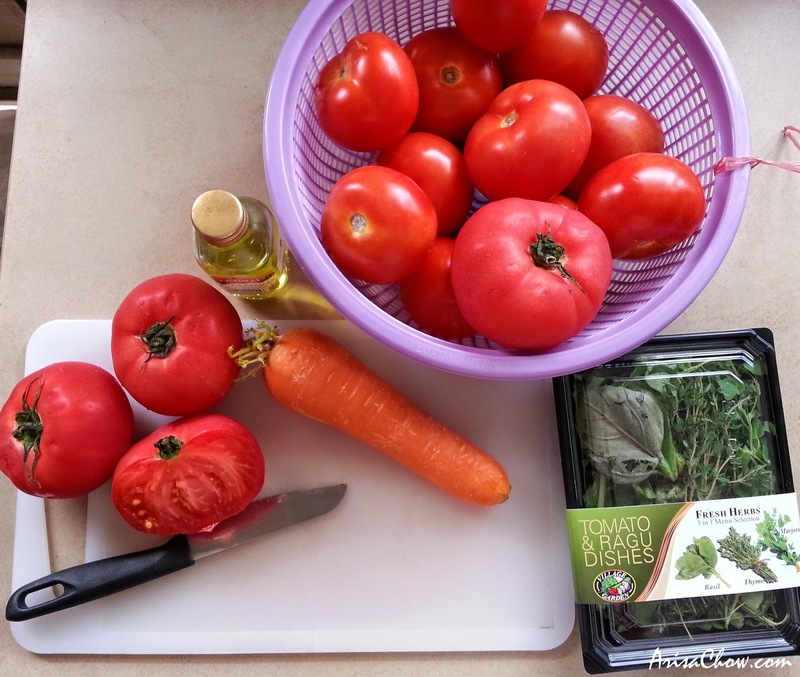 Add tomatoes, chopped basil leaves, oregano, thyme bay leaves, parsley and sea salt. Simmer on low heat for 2-3 hours or until cooked down and starting to darken. Add carrot piece for the last 30 minutes to absorb acidity. Remove sprigs of herbs and piece of carrot. Optional: Use an immersion blender to puree sauce until smooth (for a thicker sauce, skip this step. 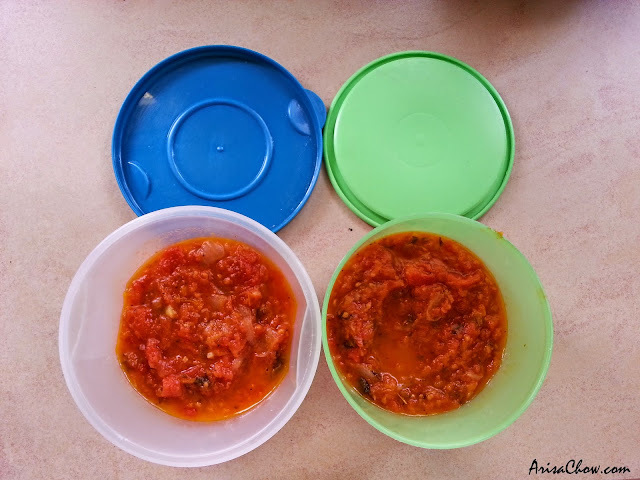 Use fresh or store in the fridge up to 1 week, or can it according to your canner's instructions for tomato products. Before starting make sure you get your fresh produced cleaned properly and prepare a pot of water to boil, alongside with an ice bath beside it. If you don't prepare these 2 items, then things might not go as planned for the skin removal process, to speed things up it's best to have everything all laid out and easy to access to when needed (like in those cooking shows lol). 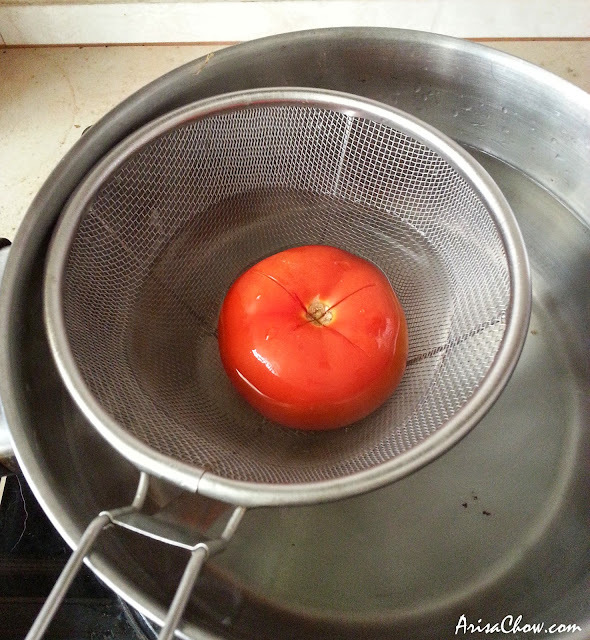 The boiling water method is useful for when you have a large batch of tomatoes to peel. You can process 3-4 tomatoes at a time using this method. Place a pot of water on the stove and let it come to a rolling boil. Place your bowl of ice water next to the stove so it is easily accessible. 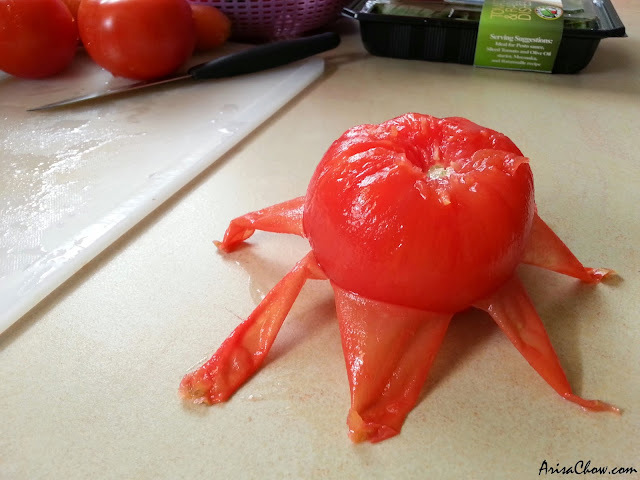 Rinse your tomatoes clean and remove any stems that are still attached. 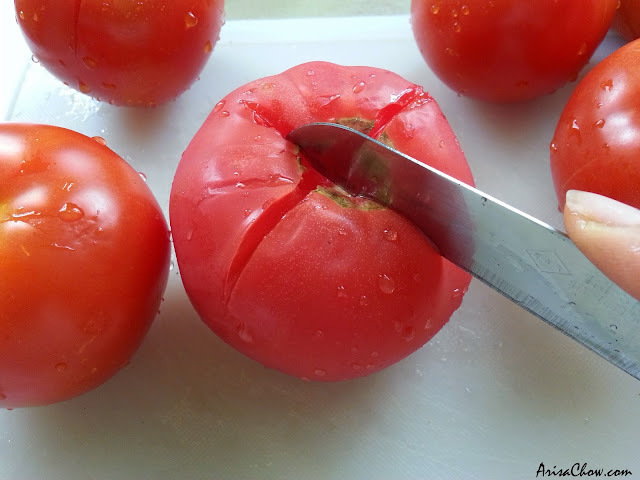 Using a sharp knife, slice a shallow X into the top of the tomato (opposite the stem side). I personally prefer to use this method so i don't have to fish for my tomatoes individually lol. It's also easy to transfer from the boiling pot to the ice bath without much hassle. Boil the tomatoes till you see the X begin to split open wider or for 25 seconds, whichever comes first. Do not boil them for longer than 25-30 seconds or they will begin to soften and cook which you wouldn't want that as the purpose is just to remove the skin first. 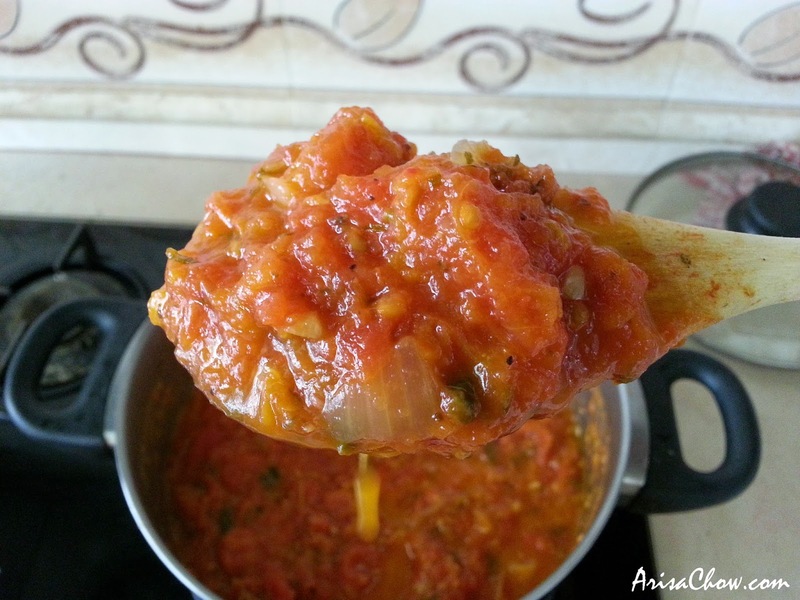 Remove the tomatoes immediately from the boiling water using a slotted spoon. 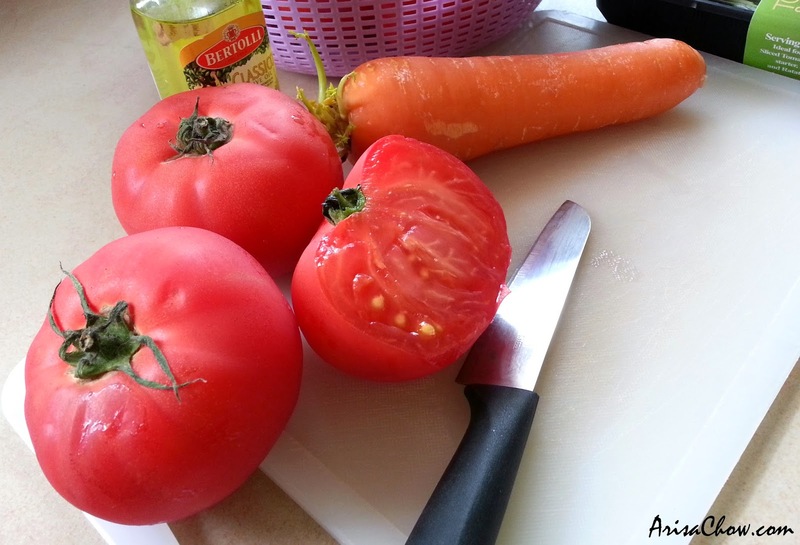 Place the tomatoes directly into the bowl of ice water and let them cool off. This will help to stop any "cooking" that has started. Tadaaaaa! Beautifully removed without much wastage. 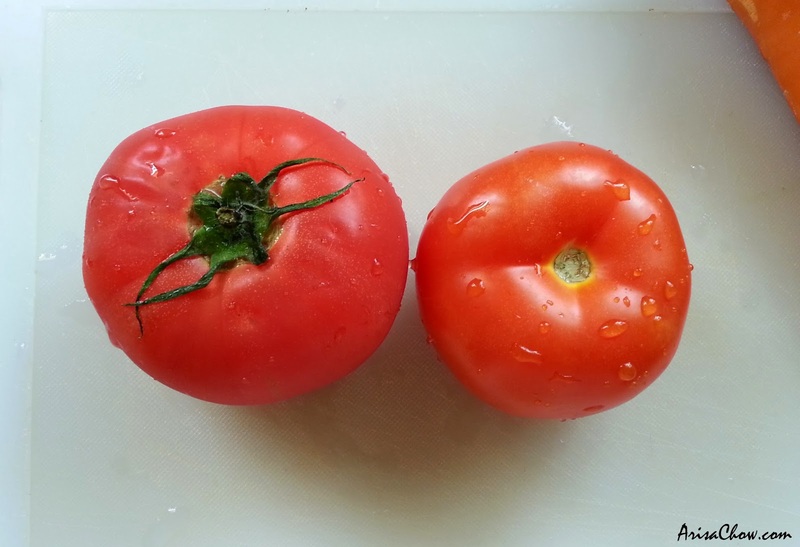 Not much tomato flesh should come off with the skin-- if the flesh comes off or the tomato seems soft/mushy, you've cooked it a bit too long. Try cooking it for a shorter time on the next round. Discard the skin and proceed with your recipe. Once you are done skinning your tomatoes, now just dump all of the ingredients inside (tomatoes, garlic, onions, herbs & etc, except the carrot- hold on to it first) a large pot and set it on medium fire till it brings the whole pot into a simmer. Slowly start to stir the mixture and you would notice your tomatoes have already started to "melt" leaving nothing but a huge mushy pile, add seasonings and continue to stir gently. After about 6-8 minutes of medium heat, lower down your fire so let it continue simmering on its own while you go do something else. Make sure to set your kitchen timer to 2-3 hours as a reminder if not it will start to dry up and burn lol. It should look something like this and your kitchen would be smelling so good! After coming back don't off your fire just yet, 2nd last step is to add in half a carrot to absorb the acidity, let the carrot sit in the puree for approximately 30 minutes before removing it along with the large herb pieces and let it set to cool completely over the counter before storing. If you like your puree to be smooth and fine, just dump it in a blender and blend it till it's fine. So now you can enjoy your very own delicious homemade tomato puree that would go very well with most Italian dishes like spaghetti, lasagna or pizza. Hope this recipe will help you amazed your friends and family! It goes very well with my homemade lowfat beefballs (taste better than ikea's) which you can find the recipe HERE. If you like planning meals ahead you can separate your puree to individual servings before putting them in the freezer/fridge.